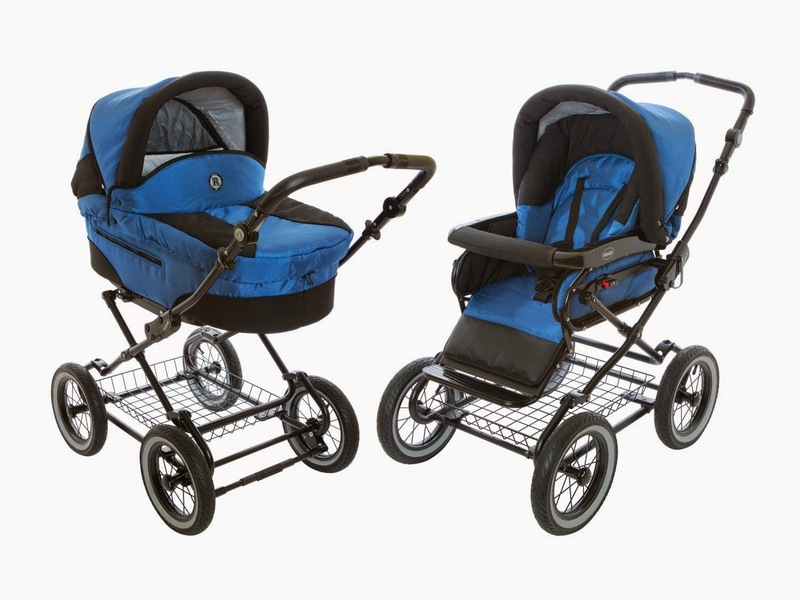 The multi-terrain pram Rocco offers optimal features and modern style to use all year around. Optimal for parents looking for the advantages of a pram and modern features. The chassis can be folded for transportation. Comfortable suspension allows you to gentle rock your baby. Standard features of the Pram Rocco with bassinet and seat unit: Useable from birth up to 3 years Comfortable suspension Folding chassis, for easy handling and transport Height adjustable handle bar (about 27.5 in - 43 in) wheels: 12.5 inch fixed air wheels 3 point adjustable backrest adjustable footrest The luxuriant bassinet offers 32 in of space Bassinet and seat unit can be installed in facing or rearing drive direction Adjustable hood with ventilation option Bassinet with carry handles, mattress and cover Seat unit with Five-point Harness Large metal shopping basket Fabrics made of 100 % Polyester according to OKO Tex 100 Weight pram: ~ 33 lbs. The tangle-free, five-point harness allows for multiple height positions and can be adjusted without dismantling the harness or removing the car seat from the vehicle. Two buckle positions provide a snug, comfortable fit as your child grows. 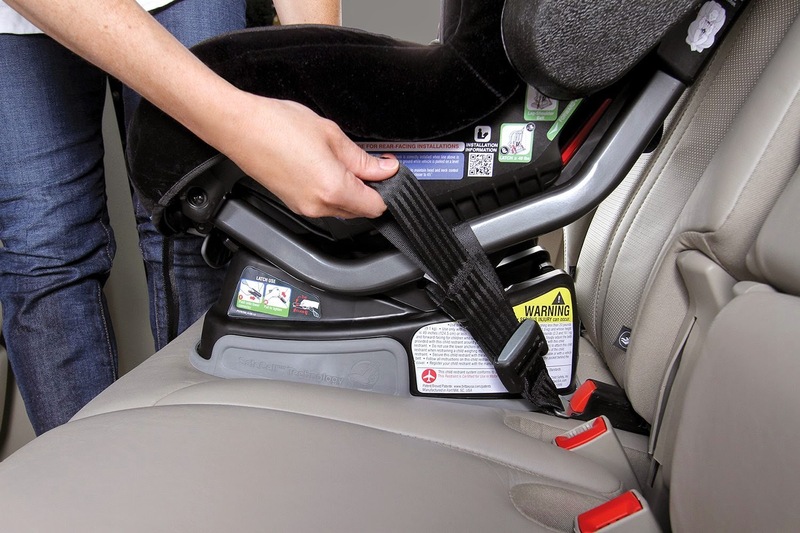 The seat's harness holders prevent the straps from getting in the way when you're putting your child in the seat, while the EZ-Buckle system maintains the harness buckle in a forward position to prevent your child from sitting on it when first entering the seat. Rear- and forward-facing recline options, as well as high-density foam cushioning, help your child relax on the journey. And the plush cover comes with matching comfort pads and an infant positioning pillow to keep children of all ages comfortable and secure. 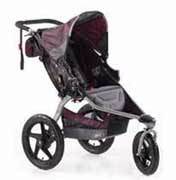 Product Information: The Britax Marathon is assembled in the USA and has a seven-year life. What's in the Box: Britax Marathon Convertible Car Seat, removable cover, comfort pads, infant positioning pillow, and user guide. The new B-Agile stroller from Britax is a lightweight, compact stroller featuring a one-hand quick fold design with an automatic chassis lock. Designed to be an on-the-go travel system using the Britax click and go system, the B-Agile stroller accepts the Britax Chaperone and B-Safe Infant Car Seats without having to purchase additional adapters. The B-Agile is also compatible with other major manufacturer's infant car seats when used with the Britax infant car seat adapter (sold separately). The padded, supportive seat features a 5-point harness system with head pad that is adjustable without having to rethread or unhook any webbing. With a weight capacity of 55 pounds and an infinite recline, the B-Agile is suitable from birth. The extra large canopy with a mesh ventilation window allows views of your child and the ability for child to see you. 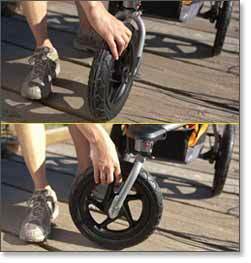 The comfort ride suspension will ensure a smooth ride and the swivel front wheel improves maneuverability. A single step locks both rear wheels. Caregivers will further appreciate the padded handle, large under seat storage and pocket with zipper. The Britax click and go infant car seat receivers are included. 1) I'm short (5'0") and the handle on the BJCM was way too high for me. It was also wrapped with this cheap plastic/rubber handle guard which I didn't like at all. The handle on the B-Agile was exactly like my Bugaboo - felt like the same height and was also wrapped in the same material as the Bugaboo. 2) I found the push/glide of the B-Agile to be better than the City Mini. I see almost no difference between it and the Bug Cameleon. It might even be easier to maneuver b/c of the 3 wheel design! 3) B-Agile has suspension. I don't believe the BJCM has any suspension - at least it didn't feel like it did! 5) The seat in the B-Agile was roomier and overall looked more comfortable. The seat was sturdy and structured - not a slumpy soft material seat like the BJCM. Both strollers provided good back support. 7) The basket is more accessible than the BJCM. 8) The canopy is large, but not too large to block the child's view when out for a stroll. 9) The peek-a-boo window in the canopy is mesh (not ugly vinyl) and allows for air-flow. The B-Agile Stroller from Britax is a lightweight, compact stroller featuring a one-hand, quick-fold design with an automatic chassis lock. The B-Agile is also compatible with other major manufacturer’s infant car seats when used with the Briax infant car seat adapter (sold separately). 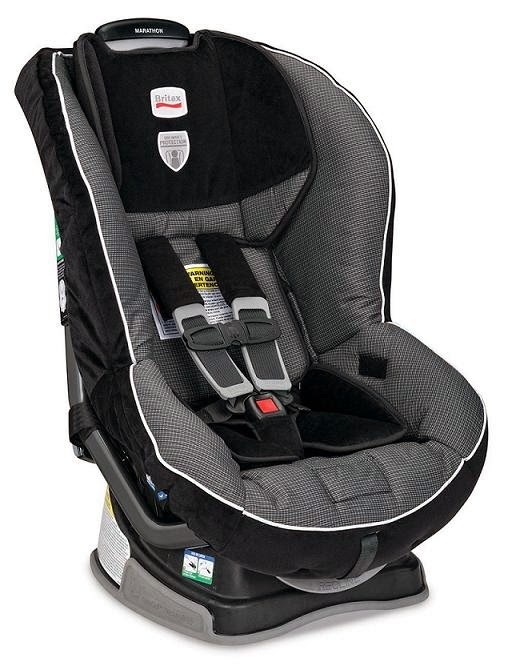 The padded, supportive seat features a 5-point harness system with head pad that is adjustable without having to rethread or unhook any straps. With a weight capacity of 55 pounds and an infinite recline, the B-Agile is suitable from birth. The extra large canopy with a mesh ventilation window allows you to see your child and, and your child to see you. The comfort-ride suspension ensures a smooth ride, and the swivel front wheel improves maneuverability. 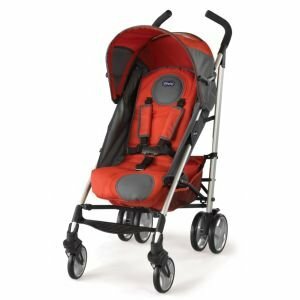 My husband and I spent a good amount of time researching strollers and car seats taking into considering safety (of course), reliability, comfort, size, price and others. We settled on Britax almost immediately and I spent countless hours trying to find a set that was affordable. On the Britax website the stroller itself is over $300! Ouch! You can imagine my surprise when I found this set on Amazon and I immediately made the purchase. When our order arrived I was elated to find out how compact the stroller gets, considering I had a Lexus ES. A large stroller wasn't really an option. But I can fit 8 of these strollers in my trunk! Also the car seat and base set were easy to put in the car! The stroller was super east to assemble and looks fantastic. We chose the black set, so we could use it for a long time and hopefully with our next baby. We tested it out around the house and the stroller takes corners with easy, feels light weight (but not cheap) and we love the big wheels! If you are like us, getting ready for a new baby and care about safety, size, etc go with this set. You won't be disappointed! Designed with a pivoting front wheel and a lightweight frame, the BOB Revolution SE Stroller offers a smooth ride and is ideal for everyday activities and not-so-everyday adventures. The easy-to-fold frame and suspension system provide convenience and comfort that both you and your baby will appreciate. 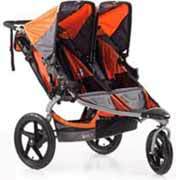 And the stroller is packed with extra features like a reclining seat and a adjustable, multi-position canopy. Three-wheeled design with swiveling front wheel. View larger. Five-point padded harness. View larger. Whether you're walking in the park or turning tight corners, the Revolution SE Stroller offers superior maneuverability with a swiveling front wheel that fully rotates. Featuring a three-wheeled design, the stroller has two rear wheels that are wide and sturdy for use on a variety of surfaces. You can also lock the front wheel in a forward position for increased stability when jogging or when the terrain turns rough. For convenience, the accessory adapter allows you to attach the BOB Infant Car Seat Adapter (sold separately) so you can use the stroller with popular infant car seats. An adjustable suspension system provides your child with an exceptionally smooth ride. The system is designed with two-position shock absorbers for comfort and reliability. 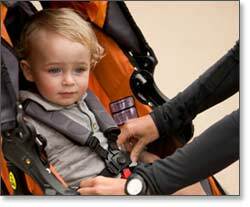 A five-point padded harness with fasteners that are tightened by easy-to-use pull rings keeps your child secure. For added safety, you can quickly engage a rear-wheel brake system with your foot. 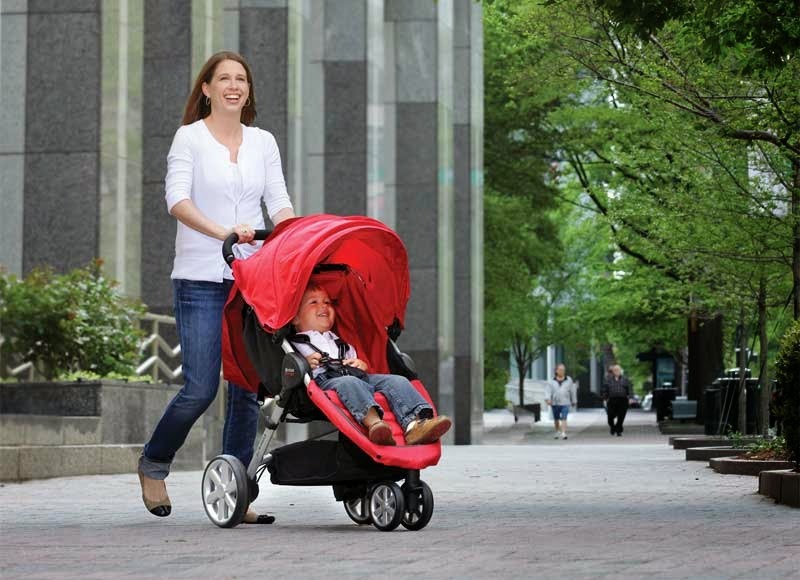 Made from strong aluminum alloy, the two-step folding frame offers easy transport for busy parents and caregivers. The lightweight frame folds down to a compact size for storage and transport. The durable fabric is easy to clean, stain resistant, and comes in a selection of colors to suit your style. When your child falls asleep during a long walk, he or she will appreciate the padded, adjustable reclining seat that tilts back to 70 degrees from vertical. The stroller also includes a multi-position canopy for protection against the elements with a large viewing window that lets you keep an eye on your baby. Offering various storage options, the Revolution is designed with two interior pockets, a seat-back pocket, and a hanging basket underneath for storing everything from bottles and snacks to wallets and keys. The BOB Revolution SE Stroller is backed by a limited five-year warranty on the frame and a limited one-year warranty on the small parts and fabric. 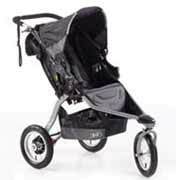 BOB Revolution SE Stroller (Black) and instruction guide. Models shown in some images are for feature demonstration purposes only and may vary in style or color from the actual product for purchase. I bought the Liteway in Fuego from Amazon, it was the best price around. When I go it, I didn't really like the color. It's an orangish red, I thought it would be deeper. Should have gone with the topazio... But anyways. I'm a 4th time mom with a lot of stroller experience. I've owned all kinds! Too many to list! 1. A full one-hand recline (really flat!) my 3 month old is very comfortable in this stroller. Easy to change a diaper in this stroller. Definitely usable from birth. 2. Safety harness is awesome, great fit. I like that the snap part is covered, so you can't pinch your baby's skin. Also 2 shoulder positons. 3. Stroller height. great for tall parents. 4. Adult cupholder. it's large, so you can fit more than just waterbottles. 5. Front wheel locks- great for locking straight to go across the grass. Also very easy to remove the front wheels. 6. Leg bunting- It's attached and stored under the leg rest. It's not large however and my 3 month old has almost outgrown it. It's not a feature for kids 7 months or older I think. 7. It's not too tippy. I can hang a medium size diaper bag (fleurville rerun)on the handles and it doesn't tip over when the child is not in the stroller. 8. Super easy to fold. (just like Maclaren.) It has an auto lock when you fold it. I have successfully opened and closed it while holding my child in the other hand. 9. So easy to steer! I had to drive it one-handed across a bumpy wooden bridge, and had no problems! 10. It's narrow enough to fit through tight spots. 11. It's self-locking! This is a huge deal for me because I can close it and load it into the car one-handed. 1. Viewing window in canopy. It's not covered, just tinted, so it lets in A LOT of light- which happens to fall right on my son's face. Had I known that the window was not covered, I would not have bought this stroller. 2. Canopy. Size is just OK. Although, when unattached to the back, it does rotate around to the front to block more sun (but the zipper portion dangles in front of my son's face and annoys him somewhat. 3. Weight- this is not a small stroller. Don't let the name fool you, it's not Lite! it's about 20 lbs. The Pliko P3 feels lighter! 4. Folded size. It really is not that compact. It's about 1.5 times the size of Maclaren Quest when folded.It takes up a lot of the trunk space in my Yukon behind the 3rd row seat. 7. Always have to push 2 buttons to put down the childs foot rest. Now that he's 2, he is constantly pulling up on the foot rest and peeling off the seat fabric from the attachments, which I then have to put back on. HATE THAT! 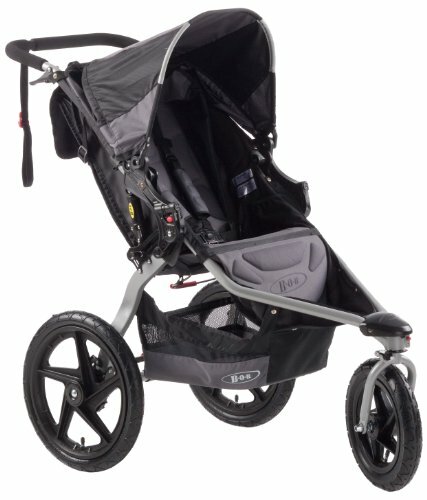 UPDATE: So now I've used the stroller for 2 months and have decided that for the price, this is an above average stroller. The canopy problem I had I fixed with a Kiddopotamus Rayshade for 15 bucks. You can fold the stroller with the Rayshade attached, so I can honestly say that this is a complete stroller now. I'm taking it to Sea World soon and am confident I will be happy. The other strollers I liked were atleast 40 dollars more than this stroller, so I feel that this stroller is a real bargain now. Although if given a do-over, I would probably buy something else. I would change the rating to 4 stars, but I can't figure out how to do it! After doing searches on strollers, going to the various baby stores and locations, we decided to get the Liteway series stroller, and after using it for 1 week, we love it. 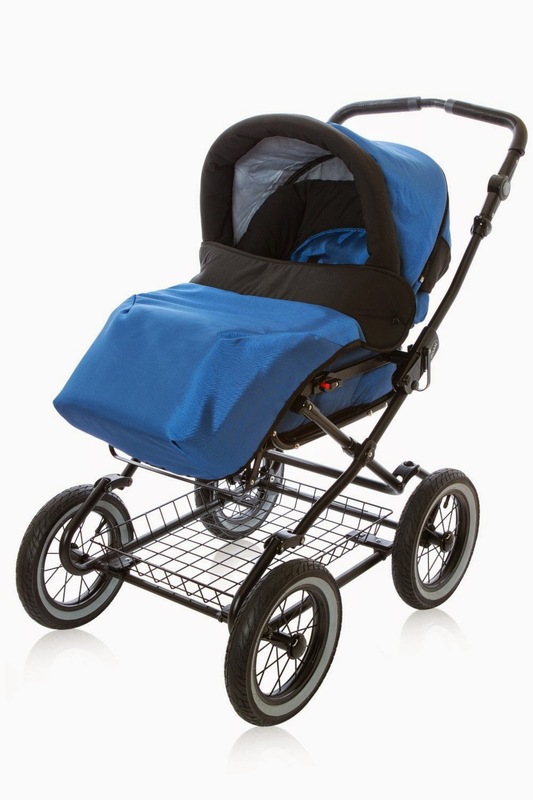 The stroller has several features similar to the maclaren series do: the folding methods and locking mechanism; it also has the window and cup holder, unlike the 'cheeper' maclarens. The stroller is not as lite in weight as the C6 series, but if you need a true lite weight stroller (under 10lbs), then the C6 series will be your only option. 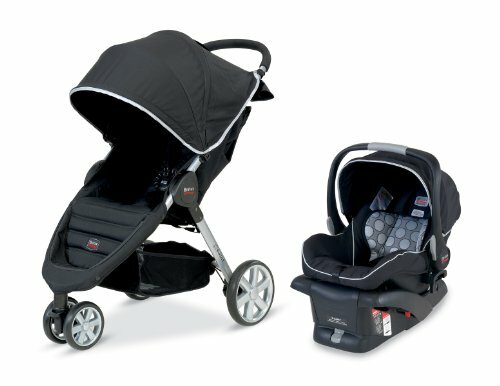 The best feature is the price for what you get: $100 for all this where most strollers in the feature range are twice that or more. 4- Can recline fully- I'm talkin about flat, not angled. 6- An adult storage area- cup holder, pocket, etc.. This stroller has it all. If you can find it in the store, try it out, but in the end, this one had all the features we wanted. We bought the Britax B-Ready before our little one was born and loved it with the car seat and bassinet attachments. However, once our little guy outgrew the car seat and it was time to install the stroller seat, it was too big and bulky, so the search began for a multi-function and easily transportable umbrella stroller. This stroller has everything you could ask for in an umbrella stroller, plus features typically reserved for higher-end traditional strollers. 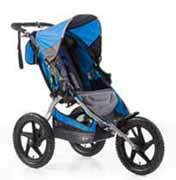 Pro's: Very adjustable canopy that can be zipped to the stroller seat or unzipped for a little breeze or to adjust better for the sun. The canopy has a TINTED (yep, nicely tinted to block out direct sunlight) peekaboo window to see your little one through. The back rest is a multi-position backrest that can go from fully upright to laying down flat, with multiple positions in between. The seat also FULLY (100% flat fully) reclines, which was exactly what we were looking for (and could not even find in in the higher end traditional strollers). The seat recline is a simple as pushing (well, pulling) a little lever on the back of the seat. We often go for walks by the beach and my little one falls asleep. Its super easy to recline the seat and then we unzip the canopy base and tilt it to block the sun. With the canopy unzipped, you can also see your little one snoozing and they get a nice breeze. The handles are high enough that I have not kicked the wheels once, and padded, so it is comfortable to push. The stroller gives a nice ride and feels durable. The fabric is breathable and quick drying (we got stuck in the rain last week). Bonus feature, the storage bin is actually a drawstring backpack, so you can use it like a traditional stroller bin and toss stuff on top, or you can place everything inside. The bag easily detaches from the seat (velcro closures) and can be worn as a lightweight backpack. There's also an adult cup holder. 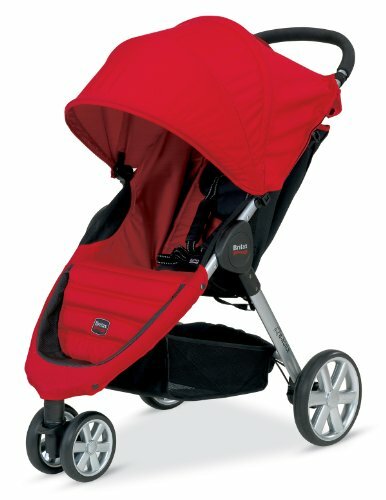 Con's: Folded closed, this stroller is a bit long (due to the comfortably high handles); It also requires 2 hands to close. All in all, we are extremely pleased with the purchase and have gotten great use out of it.